Aragosta Bar + Bistro at Battery Wharf Hotel in Boston, Massachusetts celebrates the shellfish of Boston and the New England region with its Mediterranean and seafood inspired menu featuring Executive Chef Joseph Adamo and Sous Chef Donna Spina as the talents in the kitchen. The attractive multi-windowed restaurant has a comfortable contemporary luxury ambience with recessed lighting, piped in music, paintings gracing the walls, and special seating where curtains can be drawn to create a private or romantic setting. Sage green leather banquettes line the walls and sage green and beige upholstered light wood chairs flank marble topped tables that are simply dressed. The bar area features an innovative cocktail menu and has a chef's area where patrons can sit at the counter and watch the chef cook a special menu for them. During our stay at the hotel in late June 2015, we dined at the hotel twice. The first night we had an inspired five-course tasting dinner which showcased the creativity of the chefs. 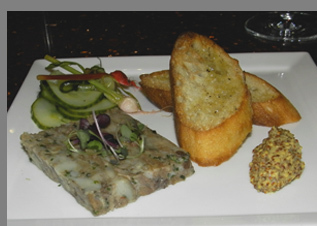 For the first course, there was Apple Vinegar Braised Head Cheese, Heirloom Pickles, and Traditional Accoutrements (for Edward), and Salmon Tartar with minced red pepper (for Debra) presented with a grilled half lemon. Both made in-house, the presentations tempted the eyes and then followed through on the palate. 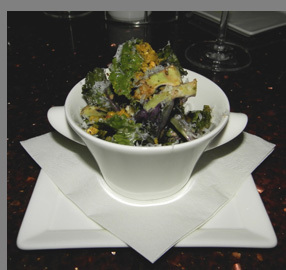 For the second course there was Lollipop Kale Sprouts, Black Garlic, and Pistachio SarVecchio, which was our first introduction to this tasty vegetable that bears a slight resemblance to Brussels sprouts, yet with a distinct kale flavor. Combined with black garlic and the pistachio SarVecchio, similar to a parmesan cheese, it was a light course that packed a flavorful punch. Next there was House Cut Ravioli, with Hand Packed Ricotta and San Marzano Brodo, which was tender housemade ravioli that melted in our mouths, followed by a fish course of Nocerella Poached Local Cod, Romesco, Borolo Yellow Raisin Tapenade, and Pignolias. 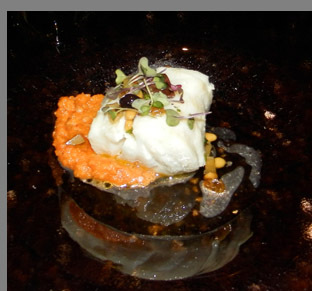 The cod was poached in olive oil and was flaky, moist, and delicious, and was well complemented by the Romesco sauce, raisin tapendade, and pignolias to add texture as well as flavor. 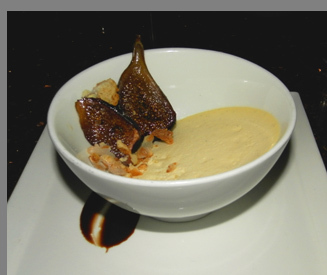 The chefs took a light yet flavorful approach for dessert with a Mascarpone Custard enhanced with Roasted Mission Figs and Cantucci Brittle that was perfect for a warm summer evening tasting menu. The next night, we experienced the restaurant's lobster bake where we feasted on our "catch" of the day, part of the hotel's special "Keep the Catch Lobster Excursion." This interesting and very tasty excursion involved going out on a commercial lobster boat in Boston Harbor in the afternoon to catch lobsters, which Chef Joseph Adamo later cooked for our dinner. Lobster any fresher than that would have required the chef to cook them onboard the boat. 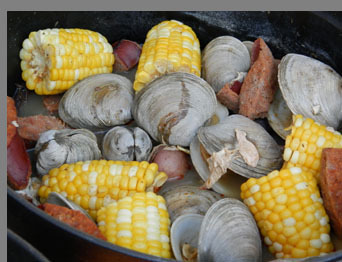 Our New England lobster feast included lobsters, sweet corn on the cob, tiny salt potatoes, steamed clams, and chorizo in a rich broth. Dining al fresco and sitting on cushioned sofas flanking a fire pit on a warm summer night was perfect. As a finale to our feast, we toasted marshmallows over the fire and made S'mores for dessert. 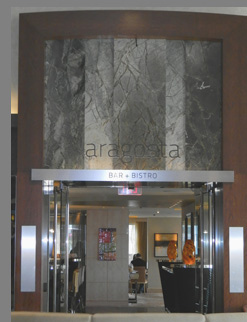 Aragosto Bistro + Bar at the Battery Wharf Hotel, where you can expect the unexpected. Keep The Catch Lobster Excursion leaves from Battery Wharf Hotel every Saturday at 1:00 pm and returns at 3:30 pm. The cost for the excursion is $60 per person. 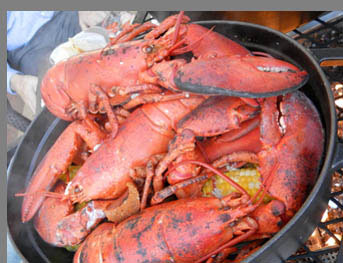 The Lobster Bake for two at their Fire Pits is $45 per person with your catch. The boat accommodates a maximum of 6 guests per excursion. 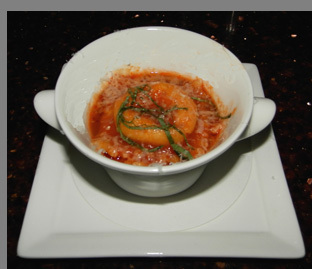 Reservations are required at the time of booking, with 5:00 pm or 7:00 pm dinner reservation options. The excursion is currently available on Saturday's only. Aragosta Bar + Bistro is open from 6:30 am until 10:00 pm, the Dinner menu is served until 10:00 pm, the Bar is open from 11:00 am until 12:00 am, the Bar Menu is available until 11:00 pm, and the Patio is open from 9:30 am until 10:00pm (the last dinner seating at 9:30pm). In Room Dining Menu is available from 6:00 am until 11:00 pm. 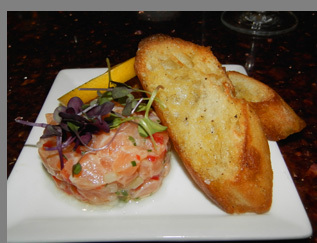 For additional information, please visit their website, www.BatteryWharfHotelBoston.com. Read the interview with Executive Chef Joseph Adamo who graciously shares a few of his tantalizing recipes in the Chefs' Recipes section. 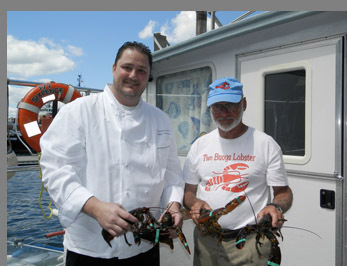 Read about the Keep the Catch Lobster Excursion in the Adventures section. Read about our stay at the Battery Wharf Hotel in the Hotels and Resorts section, and about their Exhale Spa and Fitness Center in the Spas section. 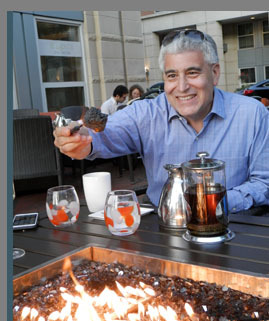 Read more about Boston in the Destinations, Hotels and Resorts, Chefs' Recipes, Spas, Adventures, and Gastronomy sections. 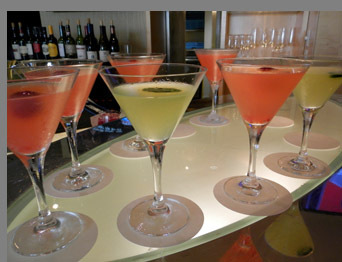 Follow Luxury Experience on Facebook at www.Facebook.com/LuxuryExperience to see more photos and watch video clips on Boston. © July 2015. Luxury Experience. www.LuxuryExperience.com All rights reserved.